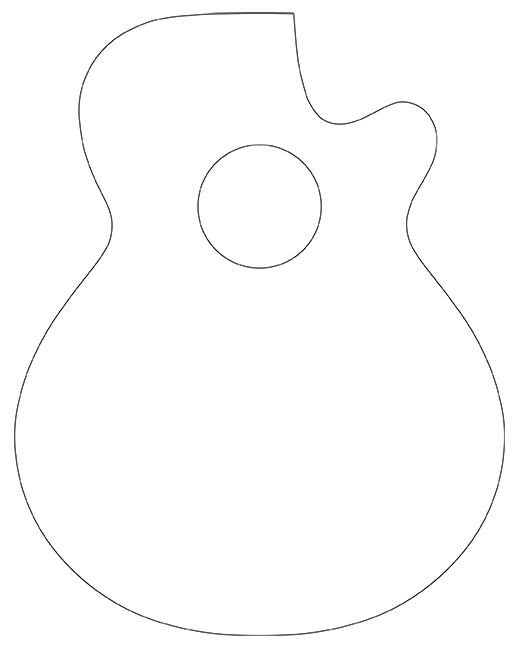 The Super Folk shape is ideal for the electric guitarist who needs some acoustic tones. This modern shape ensures it has the perfect balance between playing and comfort, and its large bottom end ensures you can keep pace when playing with others, making it ideal in a band situation. Shallower than a dreadnought and narrower in width, the Super Folk shape brings the body closer to the player. As there’s not as much mass to curve your strumming arm around, it feels more intimate and comfortable for stage use too. The cutaway gives access to the higher frets, similar to an electric guitar which makes it ideal for rhythm and lead alike. Perfect for the electric player who needs some acoustic tones.